A few minutes ago I finished reading Sigrid Nunez’s beautiful novel The Friend (more about it can be found here). I still am choked up in tears from reading it. It strikes close to home, and it triggered reflections about my best past and present canine friends. Today I am “dog-tired”–it was a three dog night yesterday as we celebrated a birthday with dear friends. Several summers ago I was humbled at how much I have yet to learn about teaching and about learning. A friend Mary directed her beloved, devoted blind Newfoundland Ernie to “rescue” me by, on command, swimming out to a rowboat where I feigned being in distress. I was saved as he towed me back guided only by the loving voice of Mary. 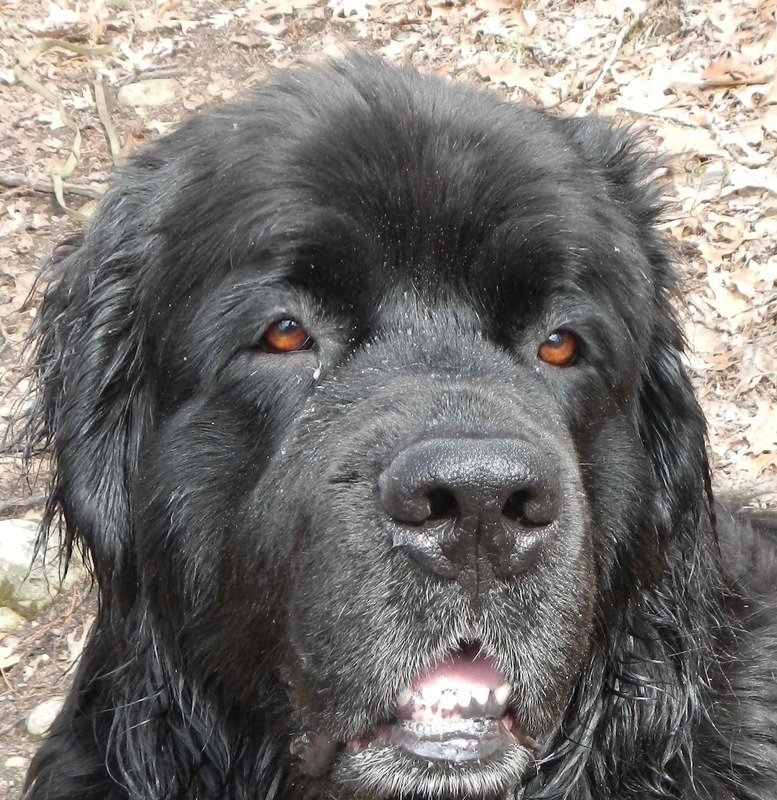 Reflections: It has been 6 months since Robin the Newf left my life. She leaves me with many fond memories and enduring lessons about patience, love, persistence, forgiveness, coping with pain, loyalty, and playfulness. I have had many dog role models both real and fictionalized. As I child I fondly remember Mr. Peabody and his seven-year-old sidekick, Sherman. I am attracted to the nonsense of dog cartoons in the same way that my dogs are attracted to scents. Though many of my friends claim I behave more like Scott Adams’ cartoon character Dilbert, I have often learned from the philosophies of his character Dogbert and from Snoopy. Rudyard Kipling and Lord Byron have warned us of how dogs can capture your heart! Dogs continue to teach me so much! Some day soon I hope to be their full-time student. Do dogs match their owners in physical appearance? in personality? There is an interesting body of research dealing with these questions. Under what circumstances does pet ownership reduce stress? increase it? Why in the world did I spend $250 tonight on pet treats? Perhaps I still am affected by my first reading of Argos‘ blind enduring faith. Robin, the patient gentle giant, knows. 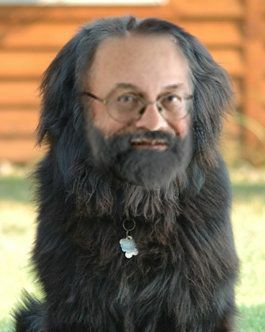 Here is some anecdotal evidence provided by one of my playful students that owners like me (though there was sometimes confusion between Robin and me and, presently, Leo and me as to who is the owner) may start looking like their dogs!